With Master Rose Oliver MBE, hosted by Greensboro Martial Arts Association. 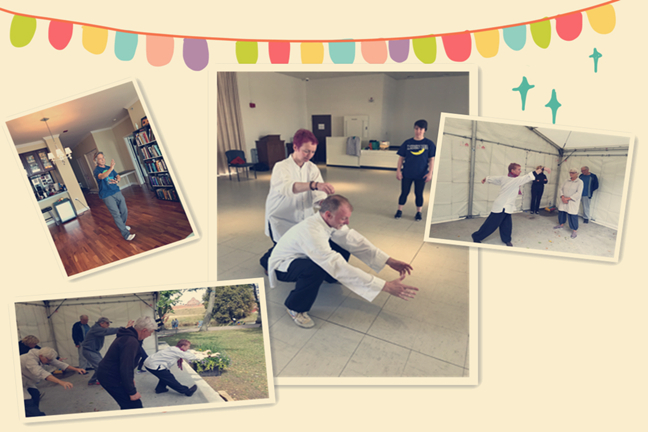 The workshop’s early session will feature instruction in Qigong and foundation exercises; then after the break we will break into two groups. One group will be dedicated to push hands instruction, particularly the 13 push hands patterns. The second group will train San He Dao. Rose will also offer instruction on Taiji form and energy work, including tips on applications, energy & intention usage, as well as exercises for cultivating internal energy, plus root, waist & limb integration. Private lessons and Tuina massage training with Master Rose are also available.